As the year comes to a close, we here at First Book like to reflect on the things we did, the people we met, and (most of all) the books we read. Here are a few of our favorite children’s books that were published in 2016! 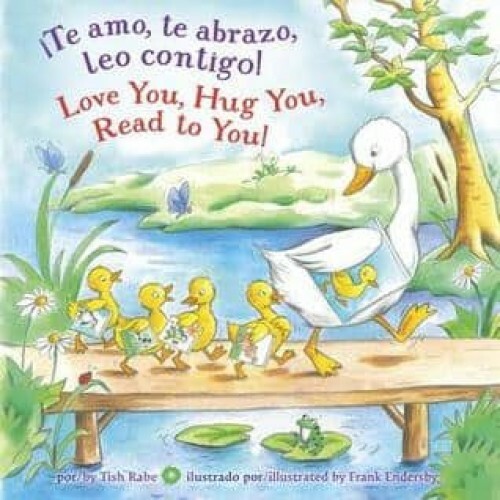 “There are three things I’ll always do … love you, hug you, read to you!” The simple promise of togetherness offered in this bilingual (Spanish and English) board book is enhanced by interactive prompts throughout, encouraging adults to engage with children while reading. We love this book because: it has interactive prompts throughout the story that encourage listeners to really engage with it, and it helps young readers feel the joy of reading together with friends and family members. Do you think life in Antarctica is a paradise? Well, the main character of this book will tell you that life isn’t all fun and games for penguins. Penguins have problems just like we do! We love this book because: the characters are engaging and adorable. The descriptions of the penguin’s “problems” makes the title a fun read aloud. The story may seem to have pessimistic themes at first, but has an uplifting ending. We love this book so much, we dressed up like the characters for Halloween this year! The Cat in the Hat knows about a lot of things! In this book, he introduces young readers to the concept and practice of voting for the American presidency. Written in simple rhyme, readers learn the basic principles of democracy, how political parties are formed, why Election Day is held in early November, and much, much more! 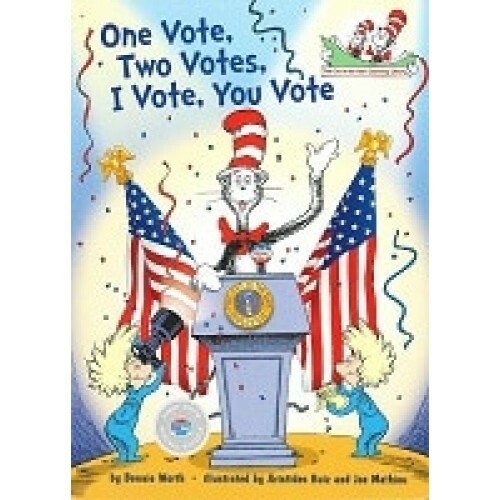 We love this book because: Memorable stanzas coupled with familiar illustrations make this title a fun way to introduce kids to the American electoral system. The title’s publisher, Random House Kids Books, even held an election to encourage the book readers to vote for a cause for The Cat to donate to – and we won! We love this book because: The book approaches heavy topics, but remains relate-able for young readers. 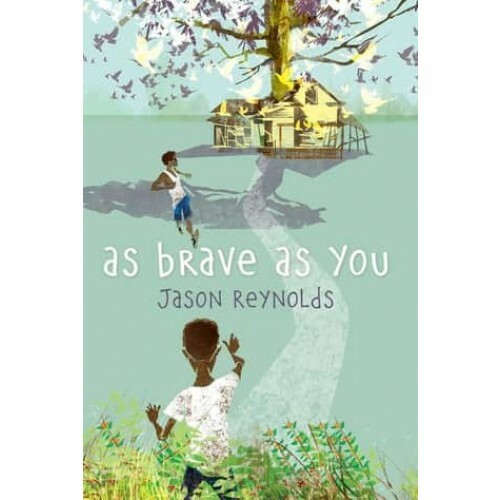 Drawing from his own experiences growing up, author Jason Reynolds paints portraits of multi-dimensional characters. No matter what your background, you’ll empathize with Genie & Ernie as they get to know their grandfather and more about themselves. Read & watch our Q&A with author Jason Reynolds. Welcome to the stunning conclusion of the MARCH trilogy. Congressman John Lewis, an American icon and one of the key figures of the civil rights movement, joins co-writer Andrew Aydin and artist Nate Powell to bring the lessons of history to vivid life for a new generation, urgently relevant for today’s world. 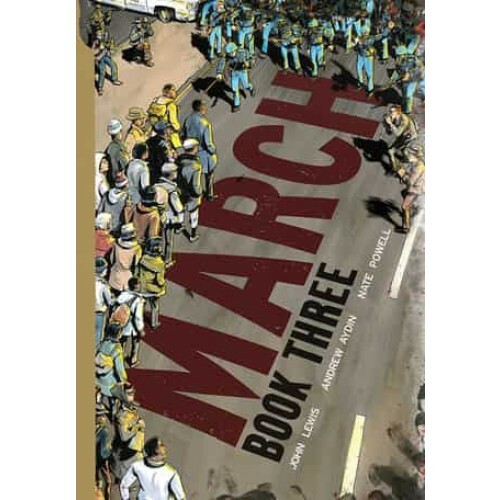 We love this book because: The March series tells a first-person account of an important time in American history – a story that must be told, and remembered (find book 1 here, and book 2 here). The series is a must-have for every classroom. So many wonderful books were published this year – it’s so hard to pick just five! If you’d like to see the full listing of our favorite books published in 2016 that we’ve made available for children in need, please visit the First Book Marketplace!